Quick update, the MCX package is now available from Microsoft. 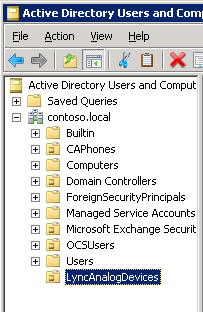 These bits along with CU4 allow you to turn on Lync mobile client functionality. The client bits will be available on the appstores/mareketplaces for the phone some time before the end of the year, but I have no inside information on when. Before deploying the new bits or CU4 in production make sure to test in your lab, read the documentation and update your load balancer configurations (links below). If time allows and someone else doesn’t beat me to it, I’ll publish an article on the mobility configuration shortly. Last week I launched a new script on the script center to bulk create analog devices in Lync. 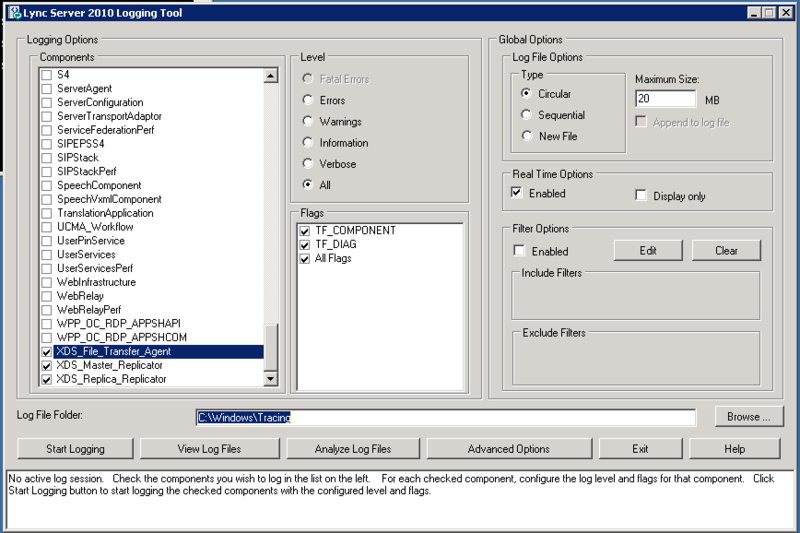 This script uses a source CSV file (reference file included in the download) to create a large (or small) number of analog devices. The zip also includes a “readme” detailing how to run the script, but in case it wasn’t clear, I wanted to cover a few of the fields in this article. I would populate the “OU” field entry with “ou=LyncAnalogDevices,dc=contoso,dc=local”. Other than those items I think the readme covers everything but if you have questions feel free to post them here. I’ve added a script center (link in the bar above) to the site and will be adding a number of new scripts shortly. All scripts will have a transcript feature and will be digitally signed so hopefully they run without issue for you. If you have suggestions for new scripts or find a bug, please post in the comments section below. A non-technical post for today. Adam Curry, Travis Swank and I are working to start a UC Users Group based out of Cincinnati. We have scheduled the first meeting and have a website live at www.ucusersgroup.com. The first nights content will start with an Office 365 overview and move into technical content focusing on the edge roles. Food and drinks will be provided. Please join us for an evening of networking and learning new things about Lync.